Now that it’s officially fall, the itch to create a warm space for the coming cooler months is stronger than ever. Using nature wall art, unexpected décor pieces, and more, you can create a cozy space to come home to during the fall and winter. 1. 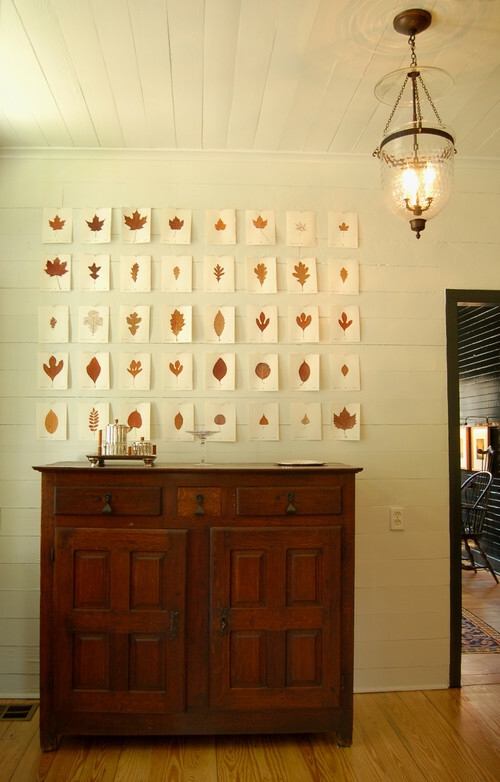 Turn leaves into actual nature wall art. It’s a low-cost way to make a big statement and the best part is you can toss them at the end of the season when you’re ready for a new season of décor. 2. 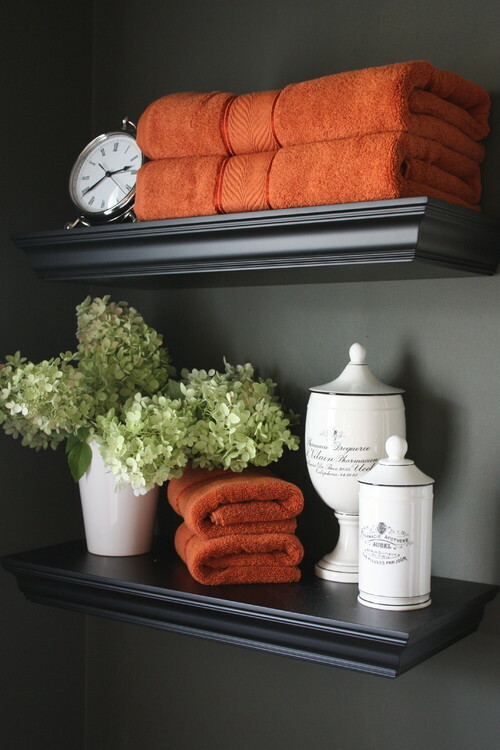 Don’t forget about small spaces like the powder room, which you can get fall-ready with a few simple changes including placing towels in moody fall colors on your shelves! 3. Change out your wall art with a piece of nature wall art, like this abstract photography piece that captures the colors of the season beautifully. 4. Add pops of fall color with your centerpieces and floral displays. A few orange flowers can totally bring the fall vibes you’re looking for to the dinner table. Find more Fall Art from Great BIG Canvas!